Industry tracker eMarketer on Thursday said that use of smartphones as wallets will jump in the US next year, but shoppers won't be quick to abandon cash or credit cards. "The more things change in the US mobile payments space, the more they seem to stay the same -- at least in the short term," eMarketer analyst Bryan Yeager said in a release. "Despite a wider range of available technology and adoption from more merchants, consumers remain tepid about paying for goods and services with their phone at the point of sale." The amount of money spent using smartphone wallets will climb in coming years, though, especially as consumers begin using them for big ticket buys, according to eMarketer. A report authored by Yeager forecast that US consumers this year will consummate $3.5 billion worth purchases using smartphones, and that the amount would jump 150 percent in 2015. A mainstream shift to mobile wallets in the US is still years away, climbing to $27.47 billion in the year 2016 and then quadrupling the following year to $118.01 billion, according to eMarketer. Apple adding Apple Pay mobile wallet to its newest iPhone models and eBay splitting off its PayPal online financial services division have captured attention in recent weeks, but the overall market remains fragmented, the report indicated. "Apple Pay will do a lot to bring consumer awareness to mobile payments, but it still has to work," Yeager said. "If new Apple Pay customers get excited to try the product and there are hiccups the first time they use it, that's going to be a negative experience, and they might think twice about trying it again." 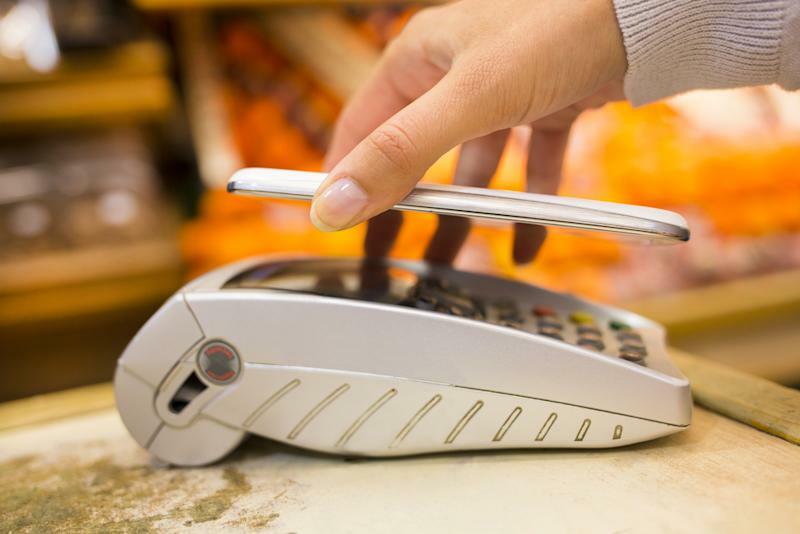 No matter how well smartphone wallets are designed, winning people over often depends on how well and how broadly merchants incorporate the payment systems into the check-out process, according to eMarketer.